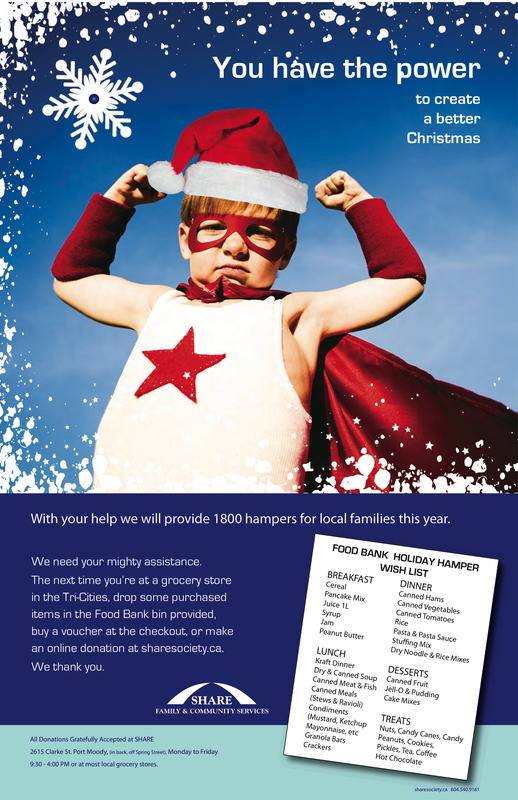 Bring in non-perishable food items or monetary donations to 123dentist.com Community Dentist Network Members Greenline Dental Centre or Aark Dental both located in Coquitlam Centre this December to help provide 1,800 hampers for local families! Both dental clinics have pledged to match monetary donations offered towards the food bank! Drop by either Dental Clinic in Coquitlam Centre to leave items in the Food Bank bin provided and help make a difference this season!